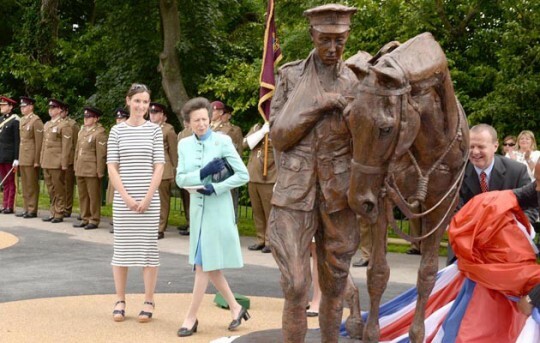 In Hamilton, enthusiasm for a New Zealand memorial grew with the unveiling by Princess Anne of the UK’s first commemorative statue, in Romsey Hampshire, in July (below). 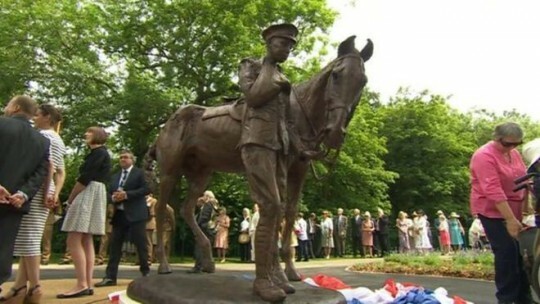 Sculptor Amy Goodman set out to capture the relationship between war horse and soldier – just as the Waikato equestrians project sought to harness that ‘essence’, and local artists were asked to depict. Call for a Memorial and a March ….